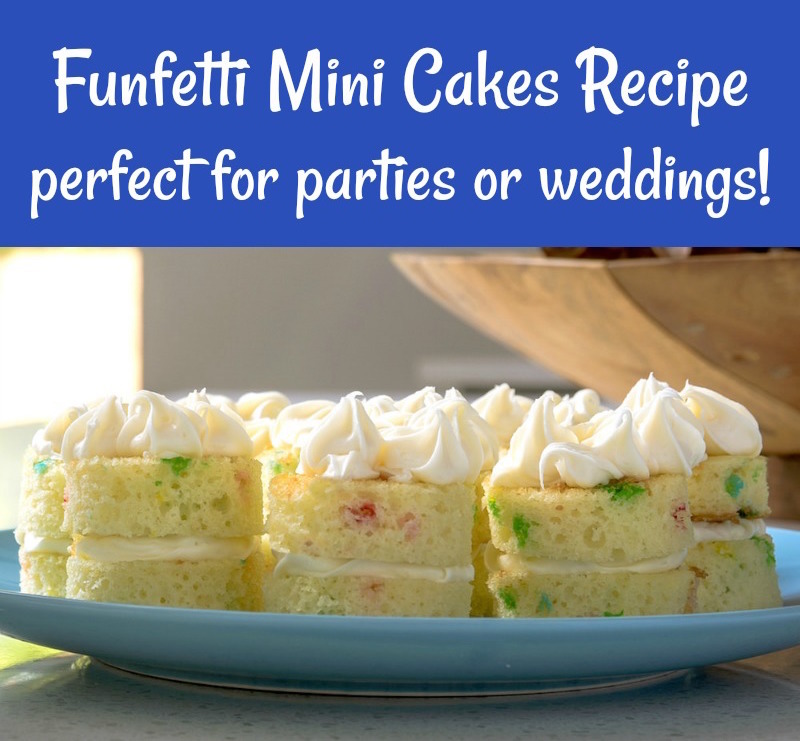 Home / Recipes / Dessert / Funfetti Mini Cakes Recipe – Party or Wedding! Make mini cakes the easy way. These cute desserts are perfect for parties, weddings, and showers. Get the mini cakes recipe and see a video of how to do it! I’m not the best at frosting cakes. I’ve tried my best but I just can’t seem to get it right, so I’ve had to adapt. If I’m looking to make a cute dessert, there’s a go-to recipe I always rely on: mini cakes. If you’re wondering what a mini cake looks like, I’m sure you can imagine: it’s a dessert that looks like it shrank in a dryer. These bites are about 2 inches in diameter and about 3/4ths the height of a regular cake. You can eat them in one or two bites! 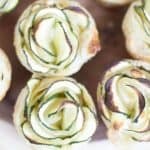 This mini cakes recipe is perfect for a few reasons. First, it’s easy to make and makes you look good. I’m going to show you how to do it in the tutorial and video. You’ll see that you don’t need by an expert AT ALL to make them. Second, this mini cake recipe is great to serve at parties because there’s no messy cutting and serving of plates. 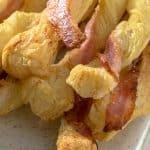 Guests can use napkins to eat them. They are definitely a finger food dessert. In addition to two standard 9 x 13 cake pans you’ll need a cookie cutter. You’ll also need one Pillsbury™ Filled Pastry Bag in the frosting flavor of your choice. 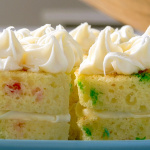 They offer chocolate, vanilla, and cream cheese – this mini cakes recipe uses cream cheese frosting. I absolutely love that I don’t have to fuss with making my own frosting and adding to pastry bags – this is an all-in-one tool I found in the frosting aisle of my Walmart. Very cool! Is your mouth watering yet? You might be even more creative than me, so grab your cake mix and Pillsbury Filled Pastry bag and let me know what you come up with! Here’s the recipe below. Make mini cakes the easy way. 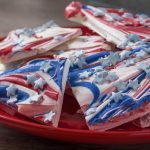 These cute desserts are perfect for parties, weddings, and showers. Get the mini cake recipe and see a video of how to do it! Preheat the oven to 350F. Add a box of cake mix to a large bowl. Add canola oil, eggs, and water to the cake mix. Mix until fully combined. Spread out the batter between two greased or non-stick rectangular cake pans. It will be a relatively thin layer. Stick both cake pans in the over and watch them closely - you'll only want to bake for about 20 minutes since the layers are thinner. Check to see when they are done with a toothpick. Pull both cakes out of the oven and let completely cool. Place parchment paper or a non-stick mat on the counter and flip over both cakes onto the counter. If you need help releasing the cakes, use a spatula to slide under and assist you. Try to avoid breaking the cake, but if you do a little bit, it's fine. Use the cookie cutter to cut out as many circles as possible. Using the size circle cutter I had, which was about 1 1/2", one box made 20 cakes (so I was able to cut out 40 circles). 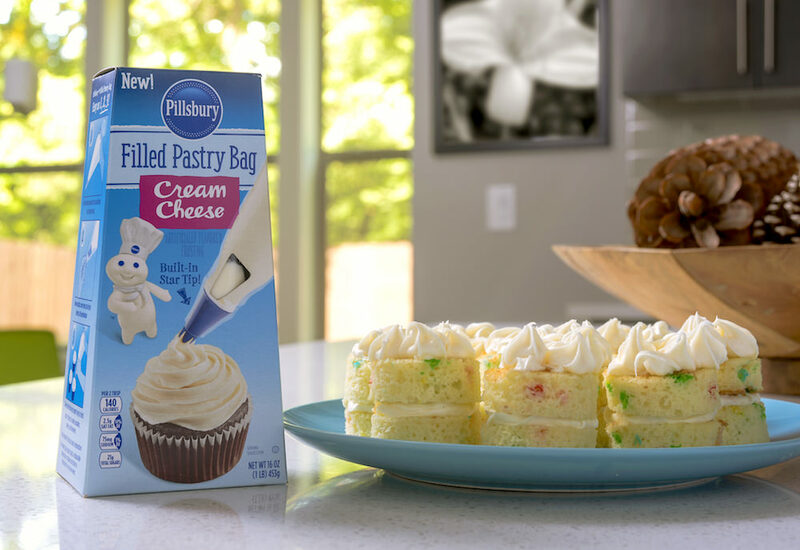 Add a layer of frosting using your Pillsbury Filled Pastry bags. Make a circle on one cake round. Place another cake round on top and then add five "squirts" of frosting on top. Just place the pastry bag down on the cake, press frosting out and pull up. Repeat until all of your mini cakes are done. They are ready to serve! 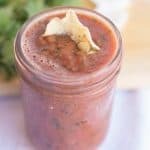 You can keep them in a fridge for a few days if you need to make them beforehand. 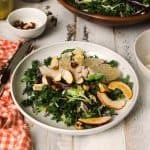 Let me know if you’d try this recipe in the comments! These mini cakes are looking so delicious. A great treat for party lovers. 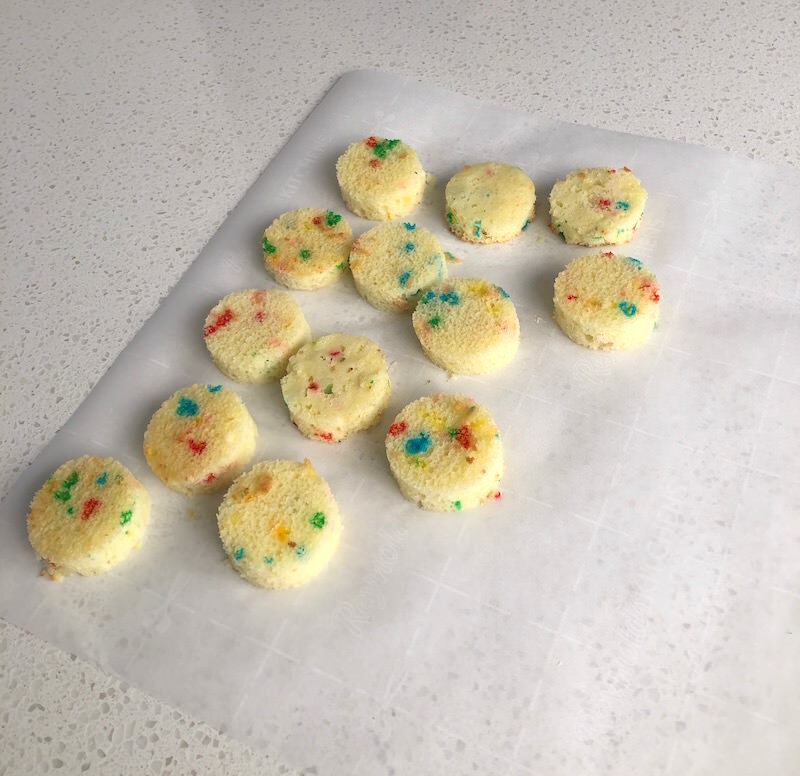 I will be making funfetti minicakes on my son’s birthday. How fun!! My kids will love this!